There are more than a few fake pages claiming to be “official” on twitter/instagram/etc. Given the air of mystery and exclusivity that has long been synonymous with the brand this wasn’t exactly surprising. I don’t think it would be a stretch to say that TOM FORD the brand doesn’t need social media to thrive in this day and age. It really doesn’t. The brand’s reputation is enough to bring it success. However, we live in an extremely tech-savvy world and TOM FORD’s lack of social media presence has always seemed like a lost opportunity to me. In recent years we have seen a shift away from the non-disclosure agreements and social media bans that used to be a part of TOM FORD seasonal presentations. It is refreshing to see bloggers at the shows and I love the real-time tweets and instagram snaps and vids. Ford’s stance on social media has undergone an obvious shift in the last few years and he has – dare I say it – finally embraced it. 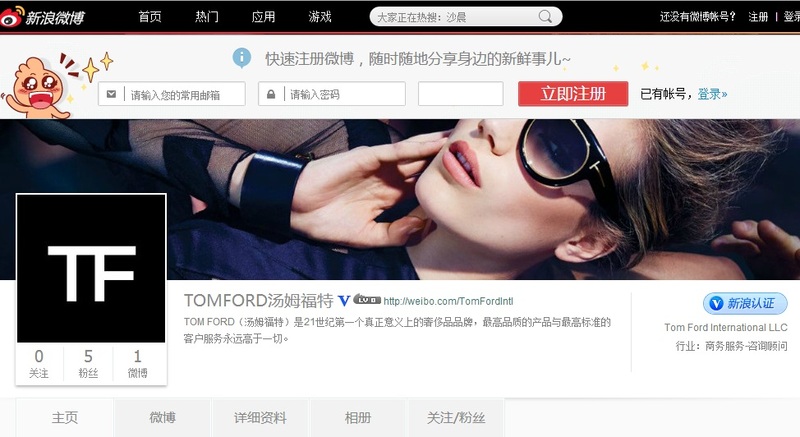 If you were paying attention recently you may have noticed an increased TOM FORD social media presence. A soft launch of twitter and instagram accounts. A Pinterest board. 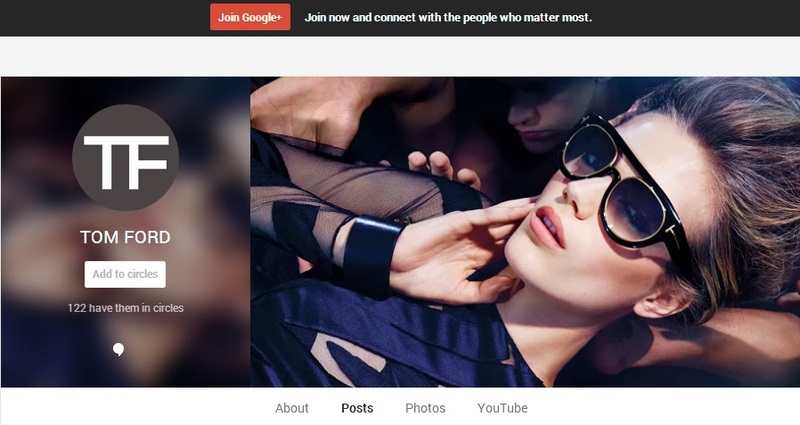 Today, the brand officially announced an expanded social media presence to coincide with the launch of the e-commerce site. Check out all your TOM FORD social media options below and start following! 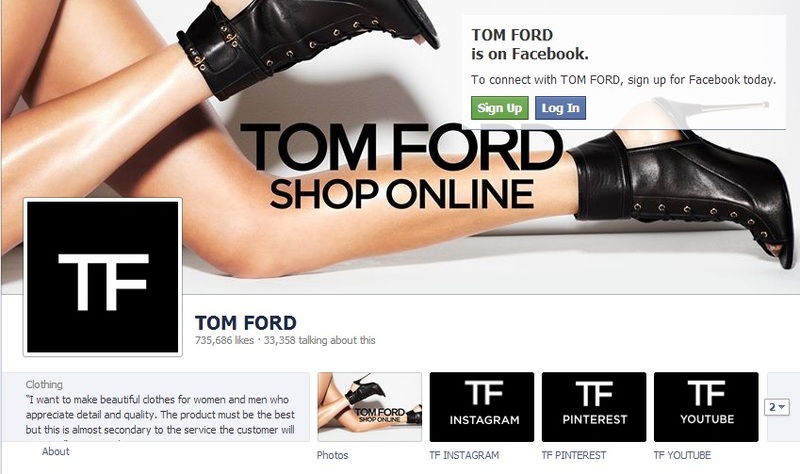 Today is a great day for social media and TOM FORD fans everywhere, don’t you agree? maybe they realized that after all they need social media maybe? Especially since Facebook become even trickier with views and sponsored posts. Also his Instagram account is focused on the online shopping…I hope in the future there will be more clothes photos, celebrities who wear them, beauty etc. I think they realized that in this day and age you need some sort of social media presence beyond Facebook in order to stay relevant and keep the conversation going. It used to be that luxury brands didn’t need to instagram and tweet at all, but today brands like Valentino and Gucci utilize social media channels extremely well. TOM FORD was always able to rely on celebrities for promotion but why stop there? If you are a brand you don’t just want to be a part of the conversation, you want to lead it. Let’s face it – that is very difficult to do nowadays without social media. I’m sure the instagram and other accounts will have more variety soon – they timed the social media launch with the e-commerce launch, so it makes sense they are focusing on that at the moment. But there is so much potential there… can’t wait!